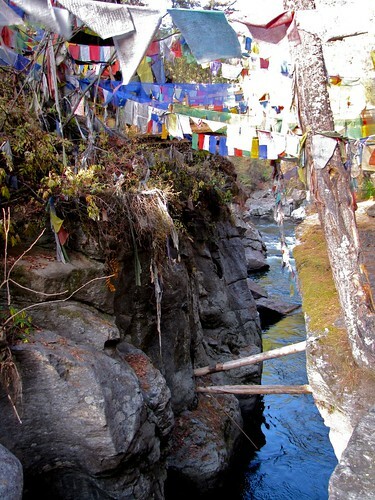 One of the names I heard mentioned over and over again in Bhutan is Pema Lingpa. He is regarded as a national saint. 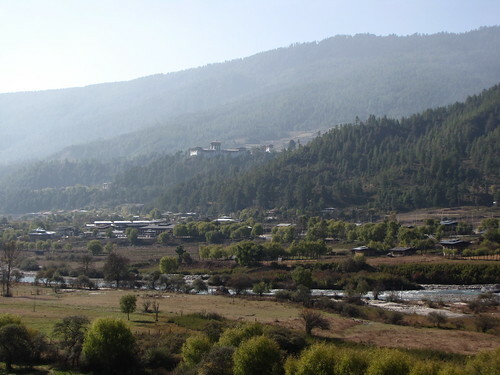 Pema Lingpa was born under auspicious circumstances in 1450 in the Bumthang Valley. At a young age, he was recognized to be the reincarnation of a great teacher who was part of a lineage of incarnations linking back to Tibetan royalty (yes, this is all quite confusing to me, too). The Bhutanese royal family can count Pema Lingpa among their ancestors. Besides excelling in his education, Pema Lingpa was also a talented carpenter and metalworker. It seems that as a young man, he began to receive visions or dreams which allowed him to recover treasures or “terma”. Terma can be either physical items or ephemeral ideas. 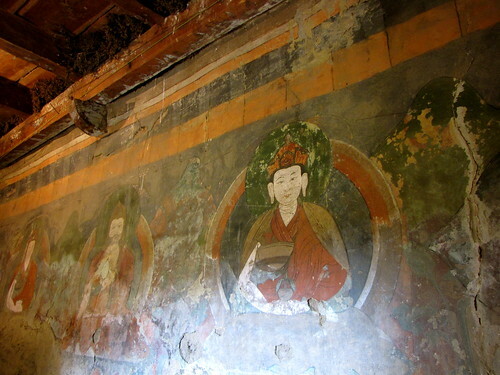 The physical treasures had been hidden away in the landscape by Guru Rinpoche, the 8th century sage who introduced Buddhism to Bhutan. The Guru had prophezied who treasure revealers would be and the appropriate time and place for each discovery. In this way, Pema Lingpa was guided by visions to reveal 32 prophesized treasures. Pema Lingpa's most famous treasure revelation occurred at Membartsho, "Burning Lake", which is actually a section of the Tang River. In front of a crowd of people, Pema Lingpa declared that if he was a fraud, his lamp would be extinguished. He jumped into the swirling water of the river and later resurfaced with his still-burning butter lamp in one hand and a newly-discovered sacred scroll in the other. Pema Lingpa also had an influence on Bhutanese culture in the realm of ceremonial dance. The movements and costumes of deities dancing in heaven were revealed to him in one of his visions. Pema Lingpa taught others about what he had seen as a way to spread the message of Buddhism. This specific style of masked dance which originated with his vision is called "treasure dance". In this case, the treasure Pema Lingpa retrieved was not an object but rather, a new art form which is still performed at festivals in this era. Pema Lingpa's carpentry and iron working skills are relevant to the fact that he founded several monasteries in the Bumthang region: local belief has it that he himself built the Tamshing Lhakhang temple in just one day. 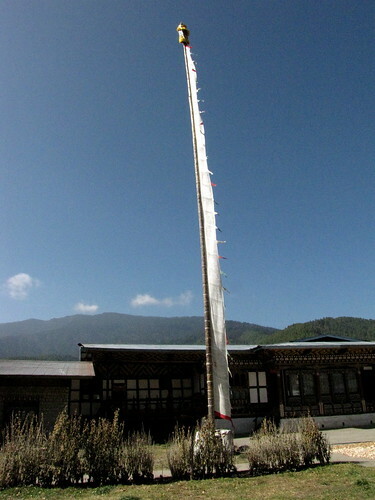 Also at this monastary, there is a 500 year old cape of chainmail which was made by Pema Lingpa. The tradition is that anyone who can wear the 25 kg piece of armor while making at least three ambulations around the inner sanctuary will be absolved of worldly sins. I'm happy to report that I completed this challenge and have rid myself of all the sins I committed prior to November 14th, 2009. Note: despite paying attention to everything I was told plus lots of background reading, I may have garbled some of these stories. Sorry... please correct me where I'm wrong.